roof were Lafayette, Steuben, Kosciusko, "Light Horse" Harry Lee, "Mad Anthony" Wayne, and Benedict Arnold. The building was erected at a cost of 15,000 dollars and measured 63 by 84 feet. old-fashioned fire-place and interesting collection of relics of historic value. On the main floor, a room was reproduced to look like the one Washington used as a as a bed-chamber. After the Fair closed, the building was relocated Kirkwood, Missouri and was turned into a four-apartment complex. It was later torn down. 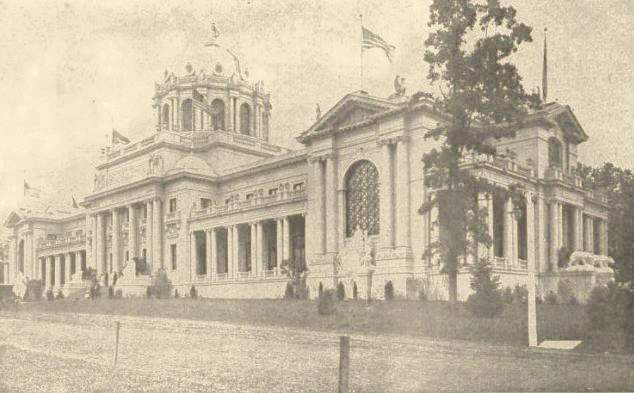 New Jersey had nice displays in the Palaces of Mines and Metallurgy and Forestry, Fish and Game; but their largest exhibit was at the Palace of Education. 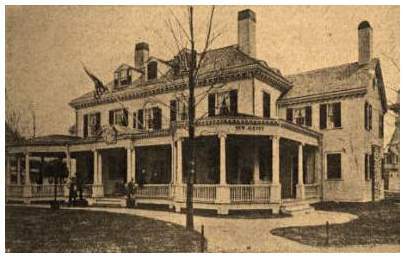 Because of the cost of shipping fresh New Jersey produce to the Fair on a steady basis, the state did not display in the Palace of Agriculture. New Jersey had an exhibit also of road building in the Model City, showing the manner of constructing and maintaining the excellent highways of that state. In the Palace of Electricity New Jersey displays ranked among the best, as was also the case in the Palace of Machinery. In the Palace of Liberal Arts interesting exhibits were displayed by various business enterprises of the state. State Building That You Want to See. Not Every Exhibit is Listed.